Looking to expand? Online distribution channels are the next logical step to take your tour or activity company to the next level. 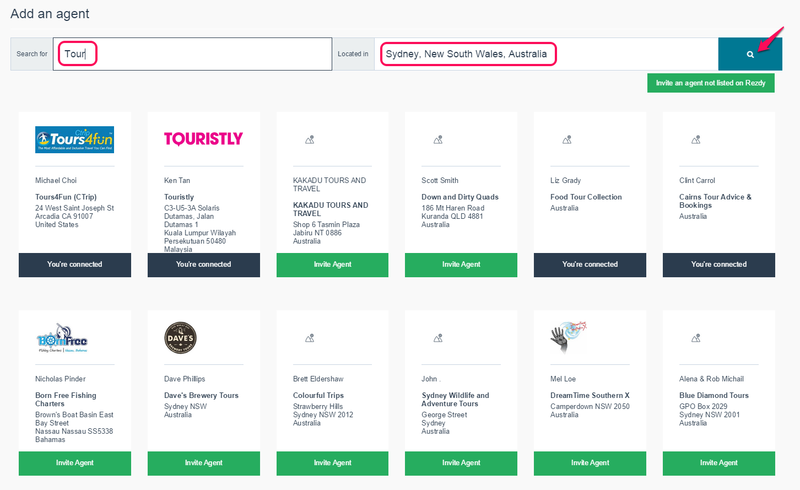 Rezdy gives you all of the tools you need to drive bookings online from new and existing agents. Here’s everything you need to know. What are online distribution channels? Distribution channels are companies or contacts that promote and distribute your products in exchange for a commission. With Rezdy, you’re able to connect with channels directly so that bookings, availability and commissions are all seamlessly tracked in one place. This drastically reduces the risk of overbooking your tours. How can you connect with distribution channels on Rezdy? The first step you need to take is to create an Agent Catalog to set up the commission rate. For EVERY agent that sells your products, you must add them to an Agent Catalog. Within the Agent Catalog are products of your choice, with commission rates you choose. You can see in the below image, the Agent Catalogs list and the agents within each catalog. Essentially, you could have an Agent Catalog for a specific hotel and add all the agents from that hotel in to the same catalog. Invite an Agent by finding existing agents, or inviting ones that aren’t listed yet. You can still provide your real time inventory to agents who aren’t on Rezdy yet. You’ll have a new agent setup form where you input details like their company name and email in addition to the information we’ve listed above. How can you manage your distribution channels on an ongoing basis? While it will save both of you time to get your Agents to book on your behalf, sometimes things get busy and you have to input an order for them. This is really easy to do. You will have to manually enter the amount that is paid from your customer to the Agent. Commission reports are a big part of having a good relationship with your agents.